S&S didn’t become the premier brand in v-twin performance by accident; we are true enthusiasts at every level of the company, building, riding and innovating every day. Beginning this month, we’ll be launching an “S&S - Behind the Scenes” post and time allowing, will create one each month until you know us all by name! We picked an easy one for June 2017, as our Marketing team is always building bikes and generally has something interesting in play. Our June Behind the Scenes spotlight is Savannah Rose. She manages much of our social media, attends most events and fits the bill of true enthusiast. 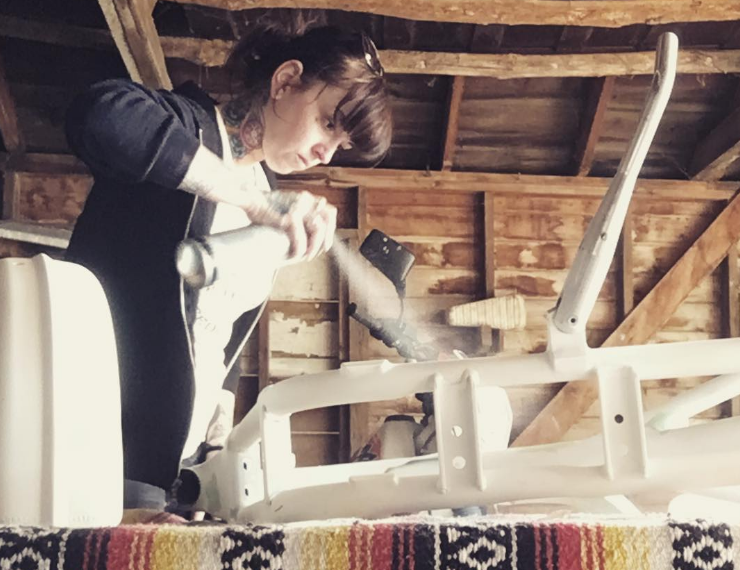 Originally hailing from California, Savannah is currently building a Sportster she acquired from her mom, whom she credits for the two wheeled obsession that brought her to S&S. 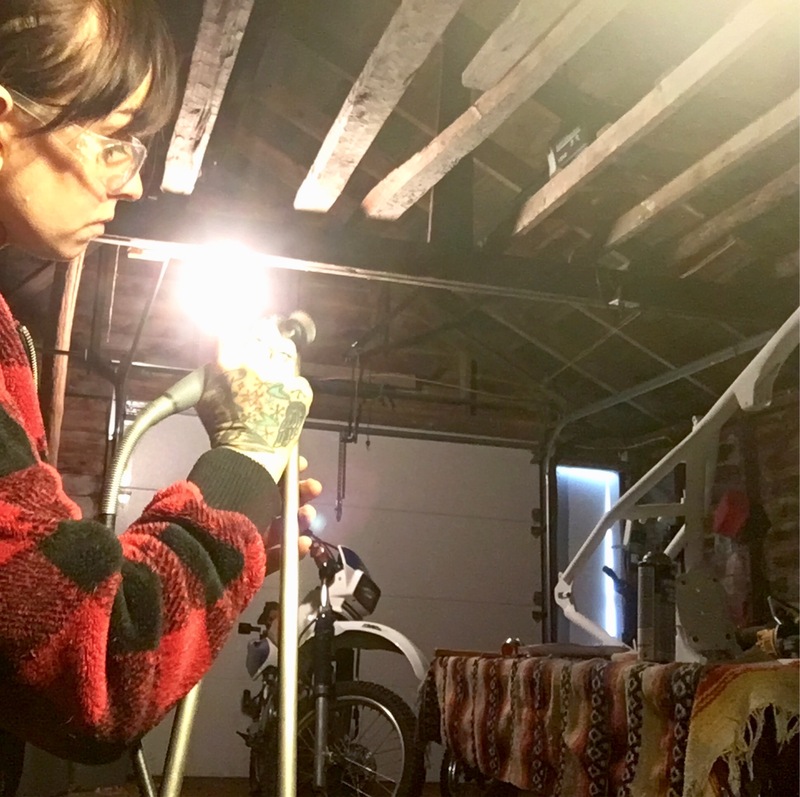 Like many in the snow bound areas of the world, winter is for building and a lot of us have some sort of project bike in the works. 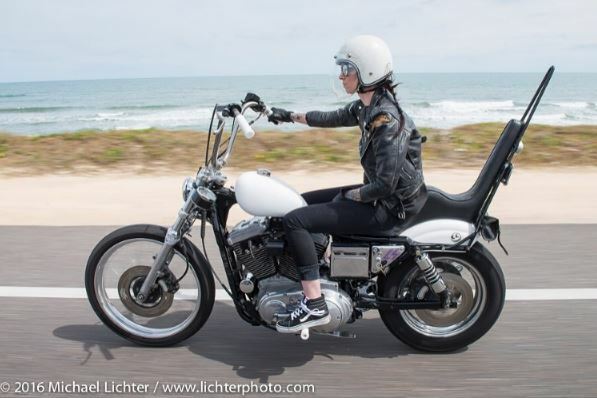 Savannah’s project began as a 1200S that she hardtailed using a Road 6 Customs kit. 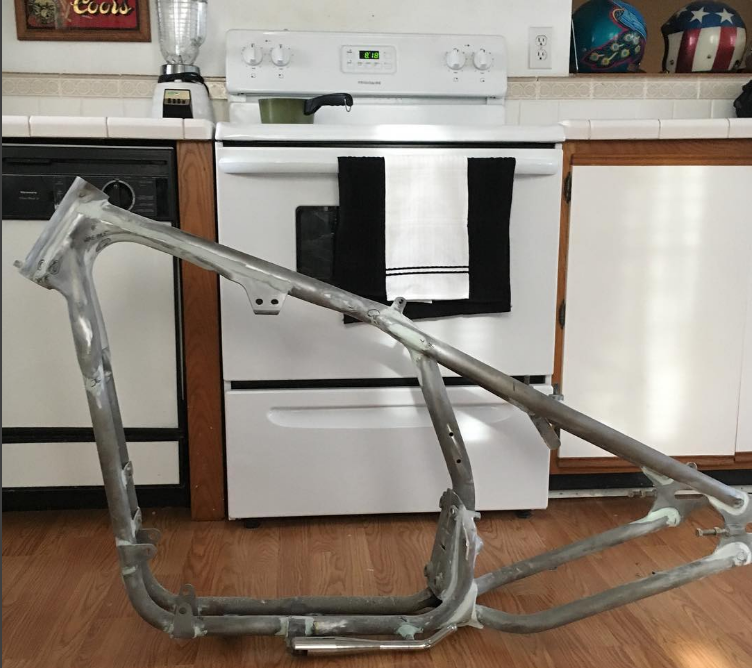 The mods soon escalated and a year into the build has become a ground up custom. 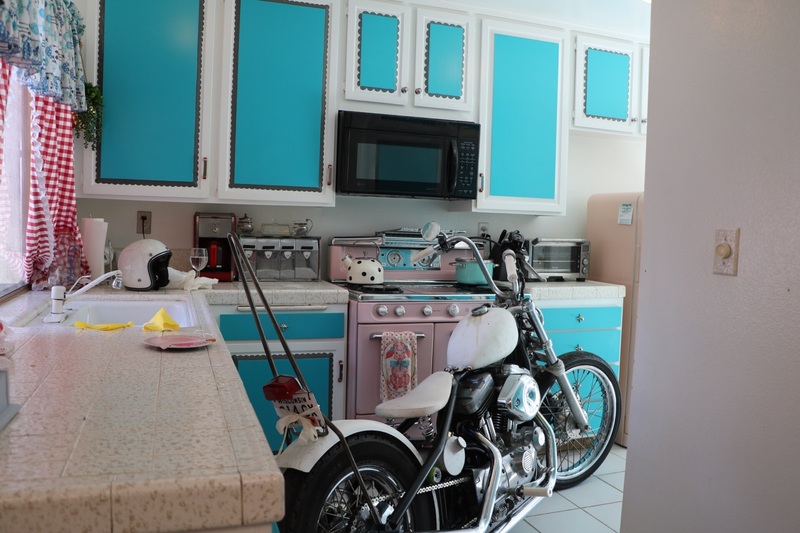 Fun twist on this one is an unheated garage drove the project into her kitchen (what could be better than grabbing a snack and assembling a bike in the same room?). Her unique style and building location soon gained the attention of world famous photographer Michael Lichter. That lead to a spot in Lichter’s Old Iron/Young Blood exhibition at this year’s Sturgis Bike Week. 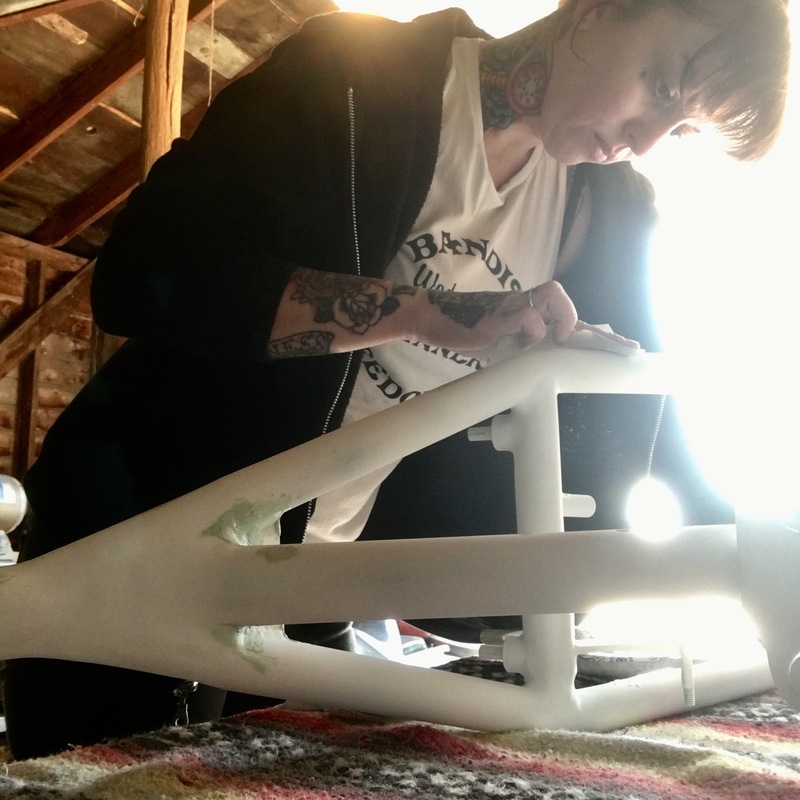 Savannah readily admits she’s far from a professional bike builder, but we’re excited to follow her progress and hope you are as well. Look for updates on this build and more backstory on the S&S crew next month. Preparing for Babes Ride Out 2016...best parking in the house!